Harvard Medical School wants to remind you that, though chocolate is thought to possibly have some healthy properties, the sweet is definitely not a “health food.” And they purposefully decided to post the reminder around Halloween. Talk about a buzzkill. What’s next? A reminder that Pumpkin Spice Lattes don’t count as vegetables? “While some observational studies have linked chocolate consumption to reductions in heart disease and dementia, they don’t establish a cause-and-effect relationship,” Harvard Health Publications wrote on their website. “Any benefit is thought to be due not to chocolate as such but to flavanols—bioactive compounds that occur naturally in the cocoa bean.” From there, they stay very cautious in their recommendations for chocolate consumption. 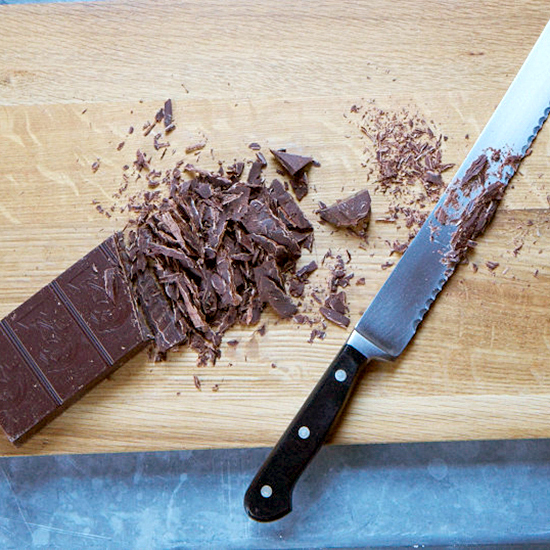 “If you enjoy the taste and ‘mouth feel’ of solid chocolate, a 1.5–ounce serving a few times a week is fine,” they say. With respect to exactly how beneficial flavanols actually are, Harvard suggests that more research is necessary, and, lo and behold, a couple of doctors associated with the university are planning to conduct just such a study currently looking to enroll 18,000 participants. They plan to follow those participants for four years before coming to any conclusions. So pencil in Halloween 2019 as maybe the year that eating chocolate candy can officially be called healthy. I think the Tootsie Rolls will last that long.